The shift has been gradual, but mobile-first indexing has finally arrived. When we heard the first rumblings of the transition, we gave you tips to make your site mobile-friendly. Hopefully you followed our advice regarding mobile intent and accessibility and have been reaping the benefits. But what does the latest Google update mean? Google said in their statement they would “use the mobile version of the page for indexing and ranking, to better help our (primarily mobile) users find what they're looking for”. Two main features of your website will impact this indexing: site content and site structure. If you have the exact same content on your desktop and mobile sites, you’re in the clear. It won’t matter which site Google is indexing first if the content is the same. However, if your site is built to dynamically generate content based on device type, your mobile content might need a little attention. Convention used to be to pare down the mobile site to give customers on the go what they would need to find and contact you. That might leave some sites lacking under the new search criteria. While you still certainly want that information to be easy for users to find, you don’t want it to be the only information Google has about your site. The content on your mobile site is what will now be primarily used for indexing and ranking, and generating items like your snippets in Google search, so it needs to be unique, complete, and useful. We’ve talked a lot about content, because that’s what matters the most to your users. But there are technical sides to the indexing change that your webmaster might need to address as well. There are tools provided by Google to check for readiness, like the robots.txt testing tool to verify that the mobile version of your site is accessible to GoogleBot, and the Structured Data Testing Tool to make sure you are using the same data across sites. If you’re wondering if or how this affects your dealership website, we’re happy to help answer your questions. 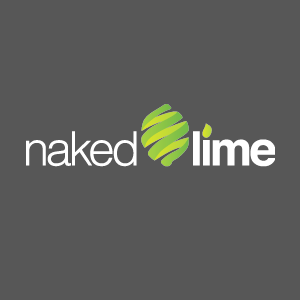 Just call 855.653.5463 or email info@nakedlime.com.